Transfer students are those who are currently attending a university or have attended another institute of higher education after finishing secondary school. All students who fit either of these criteria are classified as transfer students, regardless of the amount of college credit completed. In general, students with fewer than 30 semester hours of college work will have to submit their secondary school transcripts and test scores, despite being classified as a transfer student. Applications are available through the Common Application. Complete the application for admission. There is no application fee to apply to Illinois Tech. 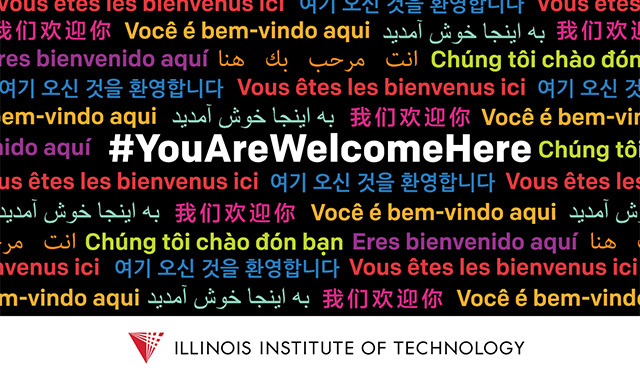 Submit official or certified copies of your transcript(s) from all universities/higher education institutes you have attended to the Illinois Tech Office of Undergraduate Admission. Transcripts can be uploaded to your Application Tracker once you have submitted your application. Provide an official copy of the English proficiency TOEFL or IELTS score report. The code to send your scores to Illinois Tech is 1318. If the applicant has more than 30 credit hours at a school in the US (excluding ESL credits) then this requirement may be waived. All students who submit transcripts from non-US schools should provide course descriptions of each course taken at university. These should be combined into one PDF document and uploaded to your Application Tracker once you have submitted your application. Course descriptions are not necessary for review purposes, but must be submitted before students can receive a transfer credit evaluation. Submit Illinois Tech's Financial Affidavit of Support to demonstrate that you or your sponsor have available finances to meet the educational and living expenses while you are a student at Illinois Tech. The Financial Affidavit of Support is not needed for review purposes and can be sent it after you receive your admission and scholarship decision. Please read the following instructions before submitting your FAS. Provide a copy of your passport. A copy of your passport is needed to fulfill the visa requirements. You may upload a copy of your passport to your Application Tracker after you have submitted your application. The passport copy is not needed for review purposes and can be sent in after you receive your admission decision. A student who has completed less than 30 credit hours at the university level must also complete the first-year application requirements. If you are planning to transfer from a two-year college in the Chicago area, please refer to the transfer credit guidelines link below. The information provided is a guide for selecting courses from partner institutions for your major of interest.